This entry was posted in Substance Abuse on March 27, 2014 by Platinum. Children across our nation are facing increasing pressures and demands in our society as they grow through their adolescent years. With concerns of peer pressure, bullying, and substance abuse among our youth, reaching out to younger generations has never been more important. When it comes to understanding how to prevent certain deviant behaviors from developing, such as substance abuse, research is giving us more insight into the issues children are enduring. A study published in the Journal Addictive Behaviors has investigated the possible connection between bulling and substance abuse among adolescents. Though the root cause of addictions is multi-factorial and likely a combination of social, environmental, and biological factors, understanding possible influences can help in prevention efforts. In this particular study, researchers surveyed almost 75,000 middle and high school students from 16 schools across a large metropolitan area, asking questions that were related to substance abuse, victimization and bullying. For the purpose of this study, substance use included alcohol, cigarettes, and marijuana. Survey results found that bullying was more common among middle school students than high school students . About 30 percent of middle-school students were bullies, victims or bully-victims, compared to 23 percent of those in high school. Researchers also found that substance abuse was more common among high school students compared to middle school students . Based on the results from their surveys, researchers were able to identify that a link does exist between involvement in bullying and substance abuse. It was concluded that youth involved in bullying were more likely than students not involved in bullying to use substances, with bully-victims reporting the greatest levels of substance abuse . Among middle school students surveyed, 1.6 percent who were not involved in bullying used marijuana, compared with 11.4 percent of bullies. Results from high school students showed that 13.3 percent who were not involved in bullying used marijuana, compared with 31.7 percent of bullies. Similar findings were seen with alcohol and cigarette use. In speaking about the findings of this study, lead author Kisha Radliff of Ohio State University noted, “Our findings suggest that one deviant behavior may be related to another. For example, youth who bully others might be more likely to also try substance use. The reverse could also be true in that youth who use substances might be more likely to bully others.” Radliff also noted that these results may lead to ways in which anti-bullying initiatives and policies can be improved. 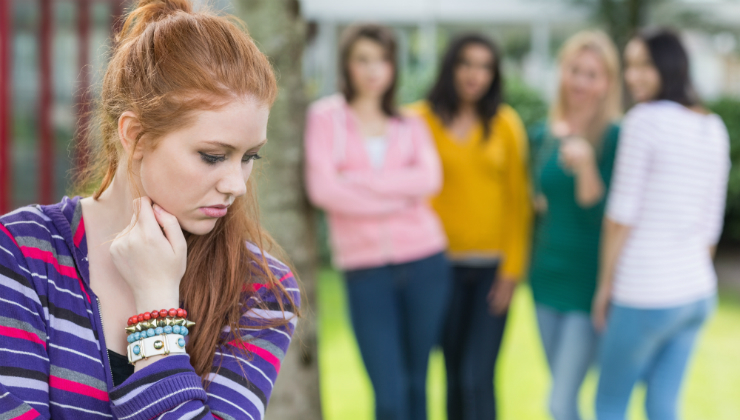 Bullying is unwanted, aggressive behaviors that can be commonly seen among school-aged children. Identifying these behaviors and applying early interventions while a child is younger may be helpful in preventing the experience of mental health issues in the future, such as substance abuse.